Oil on canvas 44" x 36"
For Limited Edition Prints click here. RAF Flying Officer Eric Loveland of 68 Squadron stalks a JU-88 intruder in his NF30 Mosquito with navigator Jack Duffy on the night of 16-17 March 1945. 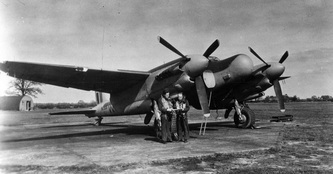 The German intruders were attacking airfields in East Anglia in March of 1945 as part of their last ditch effort in the waning war. 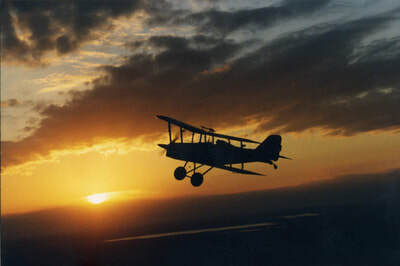 In the moonlit sky and with the help of radar, Loveland was able to connect his gunfire with the JU-88. Confirmation was not possible since the encounter was at night and over the water, so Loveland was awarded a probable kill for his hit on the JU-88. 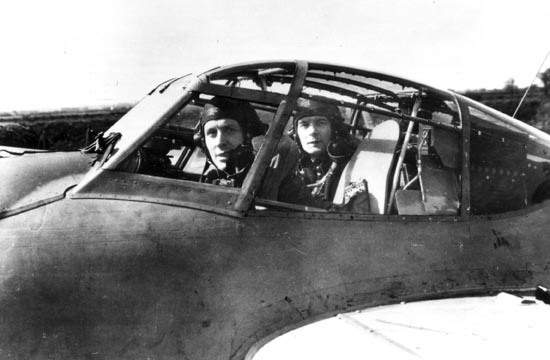 Records show that these Luftwaffe raids were over by the end of March, so Loveland and Duffy chased away one of the last Nazi intruders to attack England during the war. Eric continued flying throughout his life and I met him when we were both flying at the same airport in DeLand, Florida. We became good friends and flying buddies. He shared his logbooks, wartime photos and recollections with me which resulted in "Moonlight Serenade" which was one of his favourite Big Band Songs. In 2007 he travelled all the way from Florida to Longreach, QLD and attended the opening of my solo exhibition "Out of the Blue" at the Qantas Founders Outback Museum. Signed & numbered limited edition print. Edition size: 450. Prints remaining as of 21 March 2018: 7. Overall print size: 22" x 28". 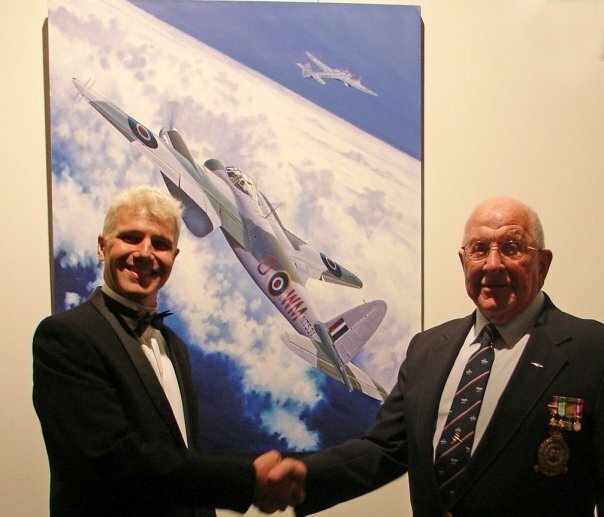 Each print is co-signed by RAF Mosquito pilot, Eric Loveland. RAF Flying Officer Eric Loveland of 68 Squadron stalks a JU-88 intruder in his NF30 Mosquito with navigator Jack Duffy on the night of 16-17 March 1945. The German intruders were attacking airfields in East Anglia in March of 1945 as part of their last ditch effort in the waning war. In the moonlit sky and with the help of radar, Loveland was able to connect his gunfire with the JU-88. 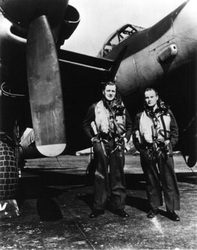 Confirmation was not possible since the encounter was at night and over the water, so Loveland was awarded a probable kill for his hit on the JU-88. Records show that these Luftwaffe raids were over by the end of March, so Loveland and Duffy chased away one of the last Nazi intruders to attack England during the war. Signed & numbered Artist's Proof, edition size: 40. Prints remaining as of 2 November 2018: 30. Overall print size: 22" x 28". 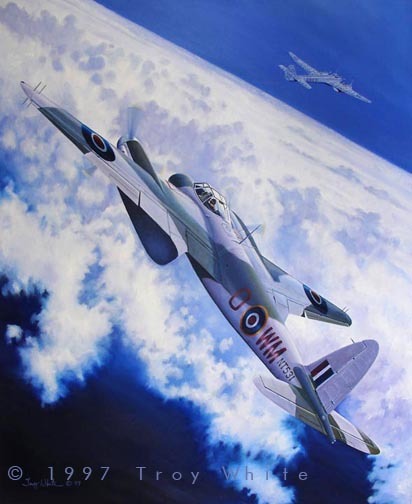 Each print is co-signed by RAF Mosquito pilot, Eric Loveland.